Shin Megami Tensei IV is a Japanese post-apocalyptic role-playing video game developed by Atlus for the Nintendo 3DS. 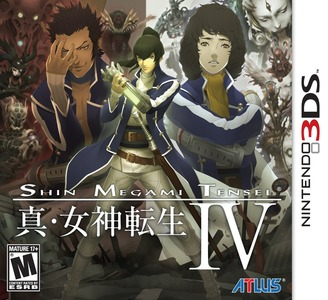 It is the fifth entry in the Shin Megami Tensei series, the central series of the Megami Tensei franchise, though no direct story connection exists to previous entries. Shin Megami Tensei IV works great in Citra. The game suffers from minor slowdowns during battle sequences and requires better hardware to obtain near full speed.